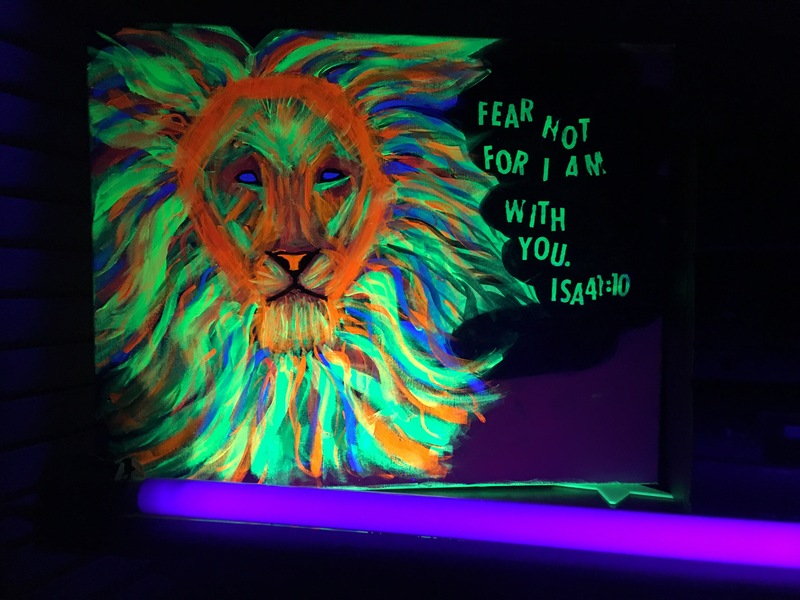 I’m pretty obsessed with painting under a black light. I Just wanted to share some of my latest glow art paintings. I made this one for my Son. I have shared this scripture with him since he was teeny tiny. 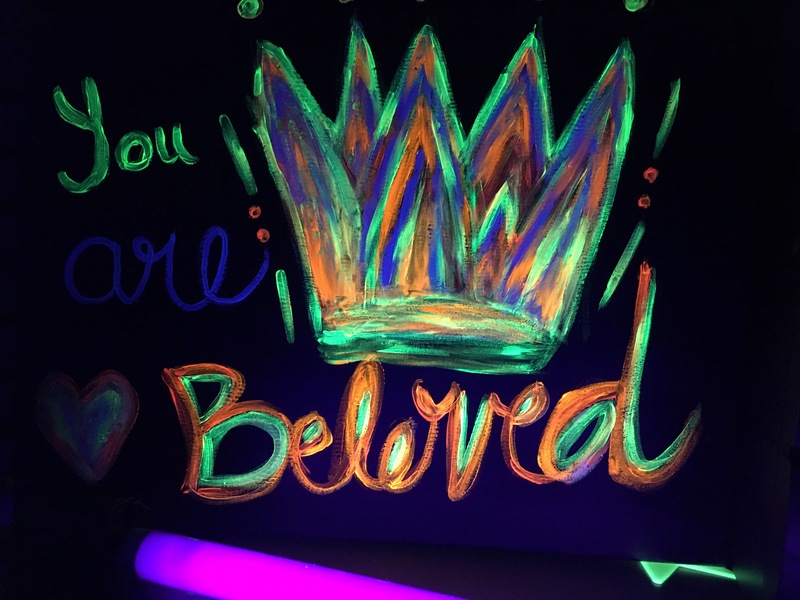 This one is for my daughter that loves the song Beloved by Jordan Feliz. This one is my latest and is going to one of my daughters as well. She is a teenager and as we all know the teen years are hard. I hope she always remembers Who to run to in her time of need. 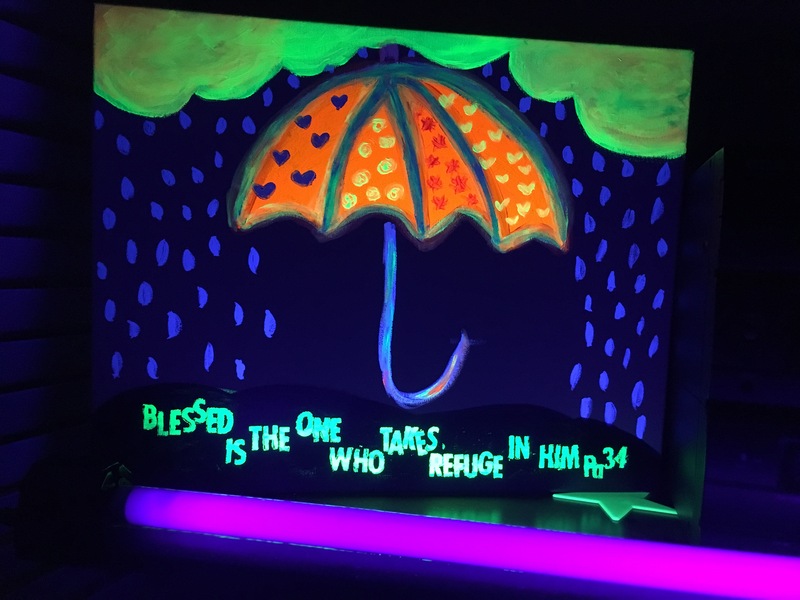 I am using neon colored acrylic paint that I purchased at Michaels. These are all painted on canvas. ← If you are hurting and need a healing….